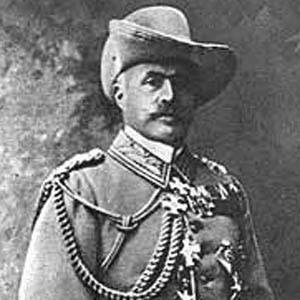 Commander and former war hero who was disgraced for his attempt to exterminate the Herero people during the Herero Wars in German-occupied South-West Africa. He fought in the Wahehe Rebellion, the Boxer Rebellion, and two wars. He earned the rank of general while serving in the Royal Prussian Army and the German Army. He married Bertha Neumann on October 15, 1872. He led a genocide like Adolf Hitler.